The DCS367B 20V MAX XR COMPACT Reciprocating Saw is a lightweight, compact saw designed to make cutting in between studs and in other tight spots easier than with traditional reciprocating saws. The brushless motor helps to provide up to 2.5x more run time to get the job done. With a 1-1/8 in. stroke length and a variable speed trigger delivering up to 2,900 strokes per minute, this saw is fast and efficient. It also features a keyless, lever-action 4-position blade clamp for quick and easy blade changes in four directions for a variety of applications including flush cutting. A bright LED light is included to illuminate dark work areas. Tool only - batteries sold separately. I replaced my 18V recip saw with the 20V and there is a huge difference in power. I am upgrading all of my DeWalt 18V to 20V as they lose effectiveness. In this case, the 20V may have too much torque. The saw seems to vibrate a lot more than the 18V even though the voltage on both saws are 18 minimal volts. I do love the compact nature of the saw to get into smaller places. Have been using for almost a year on a weekly basis and still runs with no issues. Blades are easy to change. Overall great product!! Heavy user, saw works great. Much prefer over the full-size. Good battery life and power. Only 4 stars because the Chuck has a little more slop than I would like, but not detrimental for a demotion saw, the 4 way blade holder is unbeatable. I keep one of these saws, in my truck, at all times. This size is ideal for me and fits under my back seat. Whether I’m working around the house/farm, the deer camp or somewhere else a project pops up, I find myself using this saw more and more. TOP QUALITY saw!! This reciprocating saw is great for on the go! 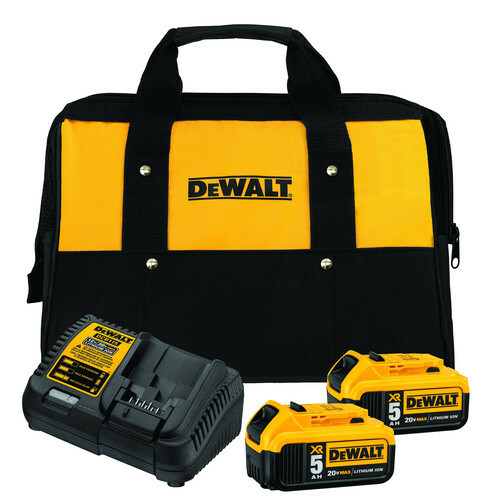 Fits easily in your Dewalt dgl523 backpack. Alongside with other Dewalt tools. I've had this bad girl from the time it first launched. And she is still ticking. Small, comfortable and powerful. A bit more jumpy than your regular saws , but nothing you cant handle with even one hand. If you dont have it yet, buy it. Worth every penny. I've used this thing for everything! It's so well built. I would definitely recommend a large battery because it will kill a battery quick but it's powerful! I love this sawzall, seems well balanced and is easy to use even with one hand. Purchased this with the intent on cutting down Christmas trees for our Boy Scout troop. Purchased a blade designed for pruning. Worked out great as the blade could be mounted in any direction allowing me to cut close to the ground. Worked out great - even used it to cut down an 8" diameter tree that had died on our property, purchased a longer pruning blade and was able to cut the trunk of the tree flush with the ground.